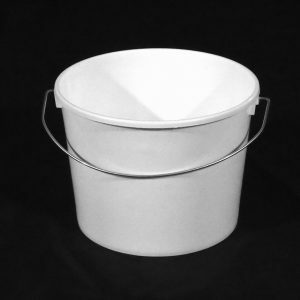 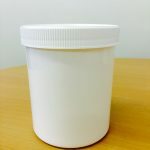 High-quality, 2.5 litre white plastic paint kettles at cheap trade prices. 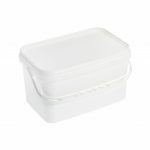 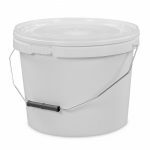 Our 2.5 litre white paint kettles with wire handle are manufactured in sturdy, high-impact polypropylene, ideal for painting and decorating applications. 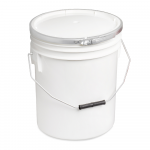 The metal handle ensures the bucket is stronger than most competitors – important when holding a lot of paint. The Buybuckets paint kettle boast a flat bottom to facilitate simple paint mixing.